It’s no secret that the rate of virtually every disease continues to rise year after year. In a previous post, I mentioned that oftentimes if you want to achieve the opposite results with your health, you must take opposite action. A perfect example of this can be seen by looking at the fats in your diet. Coconut oil is by far one of the best fats, or cooking oils, for hypothyroidism because of the fact that it’s highly saturated. 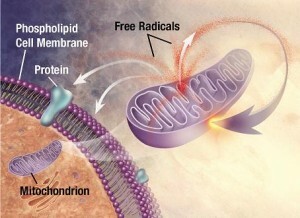 We know that unsaturated fats oxidize easily and promote cell damage. The reason they oxidize so easily is because of their weak and unstable chemical structure. Saturated fats on the other hand are extremely stable and do not oxidize. So, by simply eating coconut oil instead of PUFAs, you’re protecting yourself from accelerated aging and a number of other health problems associated with the oxidative damage caused by PUFAs in your diet. Unfortunately, that’s what more than a half of a century of brain washing will do to you. But it’s a good thing that you’re too smart to let that continue to happen, right? Sometimes you have to look beyond the direct effect on the thyroid gland itself and look at the bigger picture. Most of the benefits that coconut oil provides have more to do with its ability to help regulate and correct your physiology to prevent other external influences from suppressing your thyroid. 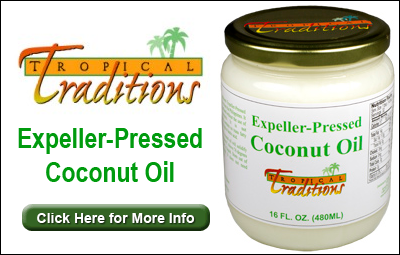 Coconut oil displaces PUFAs and their direct harmful thyroid suppressive effects.As I mentioned above, these so called “heart healthy” polyunsaturated fats that are being promoted are well known to suppress your thyroid on multiple levels: at your gland, in your bloodstream, and at your cells. 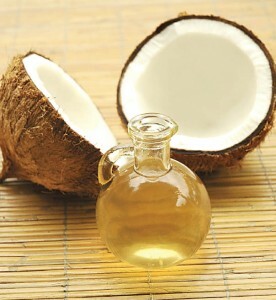 Coconut oil helps regulate blood sugar and stress hormones which suppress thyroid function.PUFAs are also very effective at lowering blood sugar, and by replacing PUFAs in your body with the saturated fat from coconut oil, it helps to regulate blood sugar and therefore suppress stress hormones. Stress hormones can directly inhibit the thyroid gland by suppressing TSH. They suppress thyroid hormone conversion in the liver. They also increase Reverse T3 production. 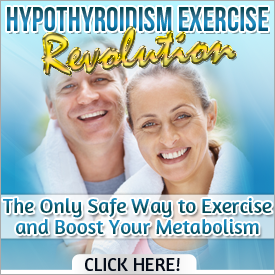 In general, hypothyroidism sufferers overproduce stress hormones. Coconut oil protects cell mitochondria against stress and injury, both of which suppress thyroid function.I talk a lot about the health of your thyroid being largely dictated by your cells ability to utilize thyroid hormone. PUFAs cause cell damage and alter metabolism on many levels. For starters, I’ve already mentioned that they cause oxidative cell damage which directly damages the cell mitochondria and inhibits your cells ability to utilize thyroid hormone properly. This is why everyone is so gung-ho on antioxidants today. Everyone is unknowingly pumping their bodies full of bad oils that are causing the very oxidative damage that these antioxidants are trying to protect against. As with most health foods, as they become increasing popular, more and more low quality products begin to hit the market. Coconut oil is no different. This is why it’s important to get coconut oil from a reputable source, since the chemical processing often negates the benefits of the oil itself and introduces other potential harmful components. Click the image to the right to see the brand and specific type of coconut oil that I myself use and that I recommend to all of my clients. Easy Switch. I love it. thank you for your kind information. I will try this coconut oi first and will comment leter. My doctor recommended Omega 3 fatty acid tabs for me to lower cholesterol which is due to hypothyroidism. Is it fine? pl advise.